Experience a magical one hour tour to meet your favourite animals from the list of options. Make your trip to Woburn even more special with two thrilling face to face encounters with some of the majestic wild residents of the Safari Park. Your experienced ranger will take you off road or on foot and behind the scenes to meet some of our amazing animals. Learn about the conservation, breeding, diet and welfare of some of the world’s most endangered species. Up close encounters are available to book until 31st October 2019 (subject to availability). Children aged four years of age must travel in a suitable car seat provided and fitted by parent/guardian. Children under 18 must be accompanied by a parent or guardian. Accompanying adults are liable to pay the full rate for admission.  These VIP Experiences can only be purchased by calling the VIP team on 01525 290991 or request a call back email vip@woburnsafari.co.uk.